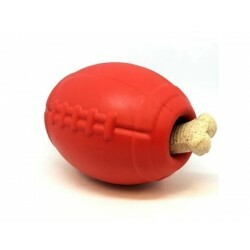 DURABLE CHEW TOY: The Football Toy is designed to withstand the abuse of most "power chewer" dogs. 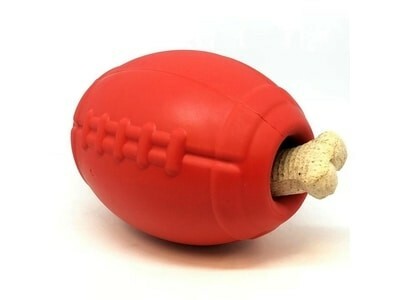 DISPENSES TREATS: Help your dog fight boredom by filling the Football Toy with treats like kibble, canned dog food, peanut butter, or your favorite dog treat recipe. 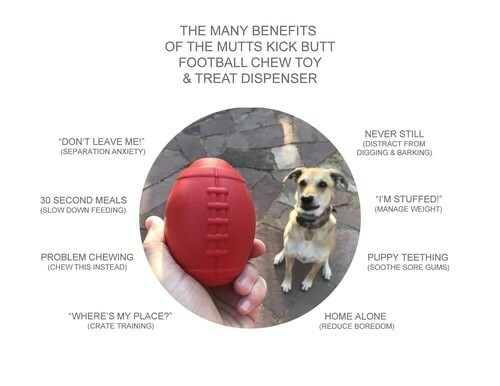 Best results: mix wet/dry foods. 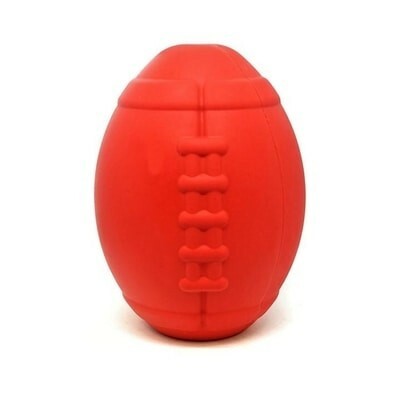 Freeze with treats inside to prolong use.